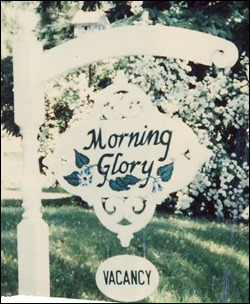 Our Wooden and PVC decorative Signs can be used for displaying both business and residential information. The photos below show several usage possibilities. 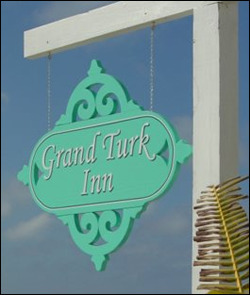 The Oblong Sign above has the business name in white - a nice contrast with the aquamarine main color. 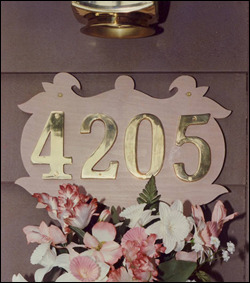 Displaying house numbers more decoratively is easy using our Signs. 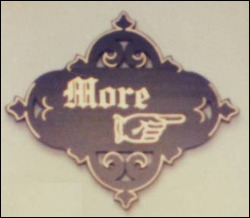 Above the 11" Sign (available in two different widths) proudly displays brass numbers. 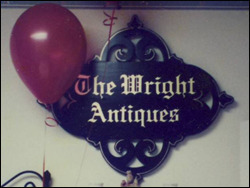 The Oblong Signs in the photos above are in an Antique Store. Our Oblong Sign is available in two different sizes. In photo above it hangs from a post. 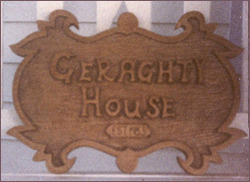 The Geraghty House is decoratively identified with this 11" Sign.